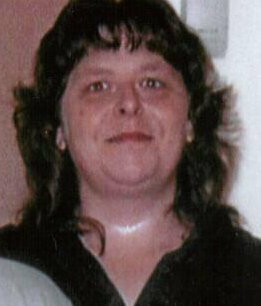 Selina Ayers, 51 of Harrisville passed away at home October 5, 2018 at home. Selina was born in Grove City on June 19, 1967 to Elmer and Wanda Bilinsky . Selina attended Franklin High School and waitressed in local restaurant. Selina enjoyed doing crafts of all kinds. She especially loved to crochet, paint and weave baskets. Her family will treasure the many items Selina made. Selina and her mom Wanda loved to go play bingo together. Selina loved to play scratch off tickets and was a regular at Sheetzs picking up her tickets. Selina loved to collect Fenton glassware and enjoyed showcasing it in her home. She kept her family in delicious baked goods. Loved ones left to cherish her memory is her daughter Staci Ayers-Werner and her husband Harley of Irwin, her granddaughter Miley Werner of Irwin, her sister Linda Best of Harrisville and her brother Tom Bilinsky of Harrisville. Selina long time friend and companion Richard Maxwell of Grove City and her lifelong friend Lana Tiche of Boyers. Also surviving are her 4 aunts Arlene Fair of West Freedom, Janice Neely of New Galilee, Patricia Wolf and her husband Jim of Foxburg and Lola Morgan of Emlenton. One niece Autumn Adams and her husband Chris and one nephew Jimmy Best both of Parker; and her brother in law Albert Best of Parker. Selina is preceded in death by her parents. A memorial service will take place at a later date. The Larry E. McKinley Funeral Home, Clintonville is in charge of the arrangements. The family suggests memorial contributions be made to the funeral home to help defray funeral cost.